Allow me to introduce to you, your new concierge staff, whose entire job revolves around providing you with the all custom book, drink and music suggestions that you could ever desire! Enjoy! WhatShouldIReadNext.com is an awesome website for when your suffering a book hangover. You know... that state of mind after you finish a great book...where you can't stop thinking about the characters, the twist and how sad you are that it's over. Next time you're suffering from such a debilitating feeling, head to this website, type in the title of the book you loved and voila- the site will generate a list of similar books! 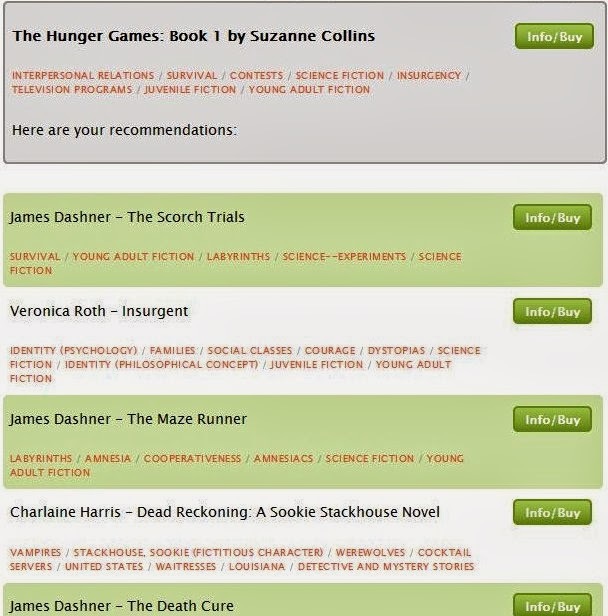 Check out the options that WhatShouldIReadNext.com generated when I typed in The Hunger Games. 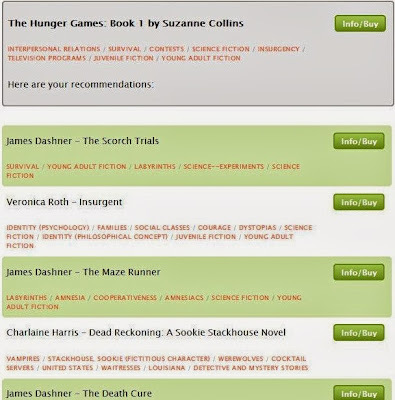 Try it out and let me know what great books that you stumble upon! 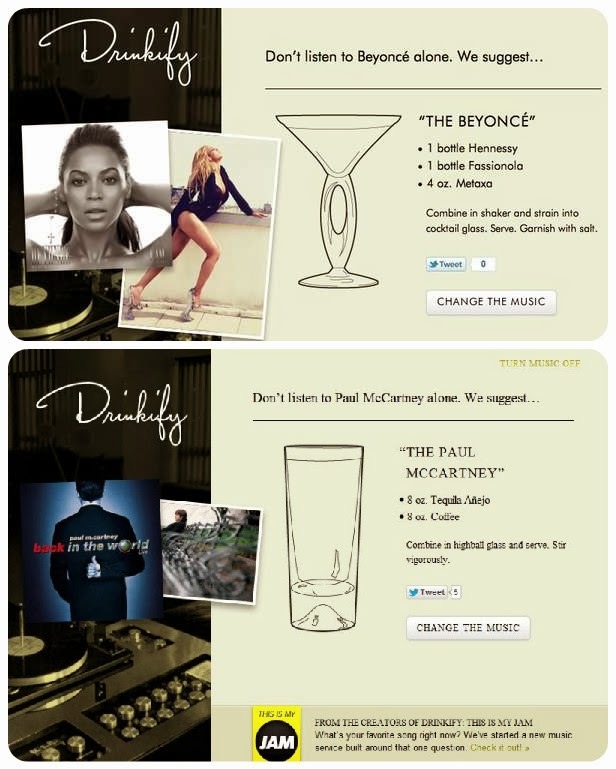 Drinkify.org never wants you to listen to your favorite music alone...so grab a cocktail! 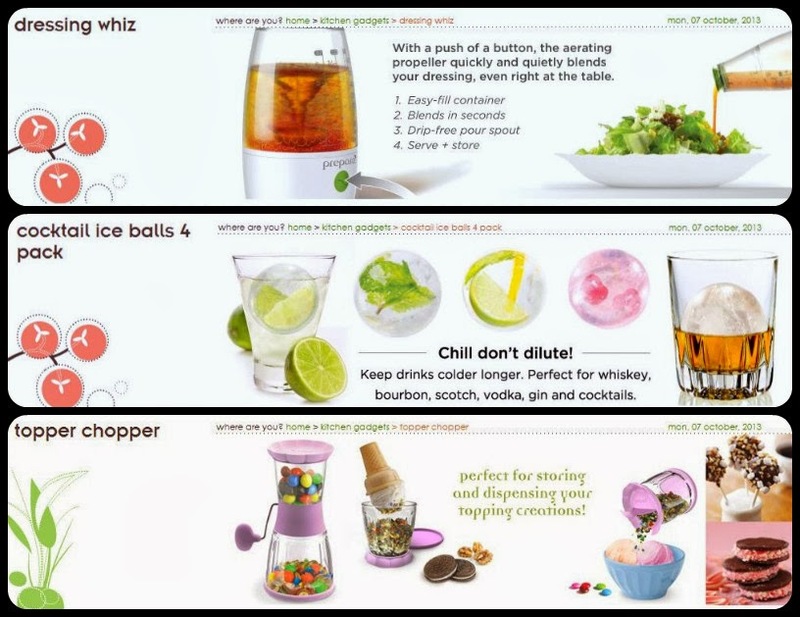 It's like your personal alcohol attendant (unfortunately, cocktail assembly is required!) 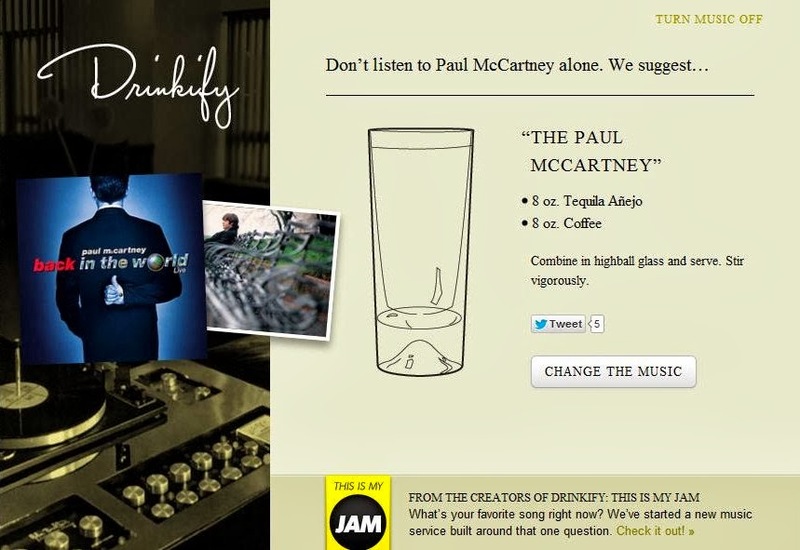 Type in the artist that you're listening to and Drinkify.org will suggest a custom beverage based on the artist and their genre. It's pretty neat! 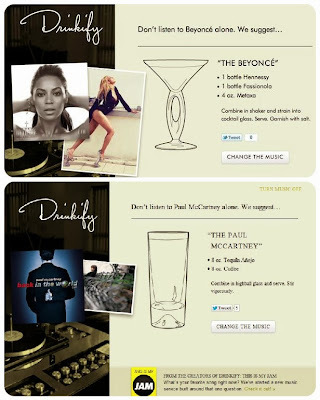 Try it out and see what drink goes best with your favorite music. Cheers! Last but not least, meet Songza.com, your music concierge and new best friend. 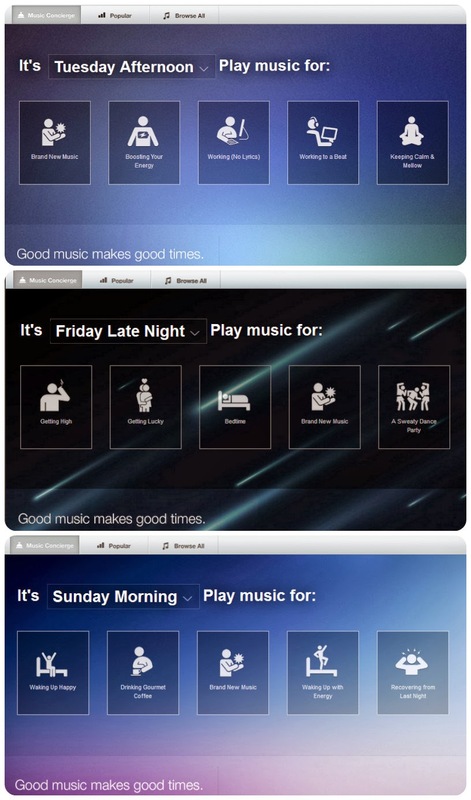 First, input the day and time; Songza will then provide you with activity options that are compatible with the specific time. For example, Friday night includes party music, while Sunday morning is more relaxing. Choose the playlist that best fits your life at the time, and enjoy! Songza.com makes listening to music even more fun than you ever imagined. Don't forget to try to app for Songza listening on the go! #GiftGuide: Themed Candle Gift Sets Anyone Would Love + A Giveaway! 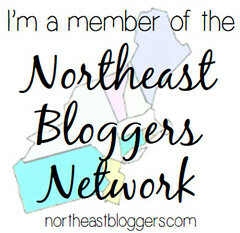 Be Your Own Designer with AlliedShirts.com!